We have received many requests to integrate some type of visualization solution on Rescale. At Rescale, we agree that this is an important part of some engineering work flows. 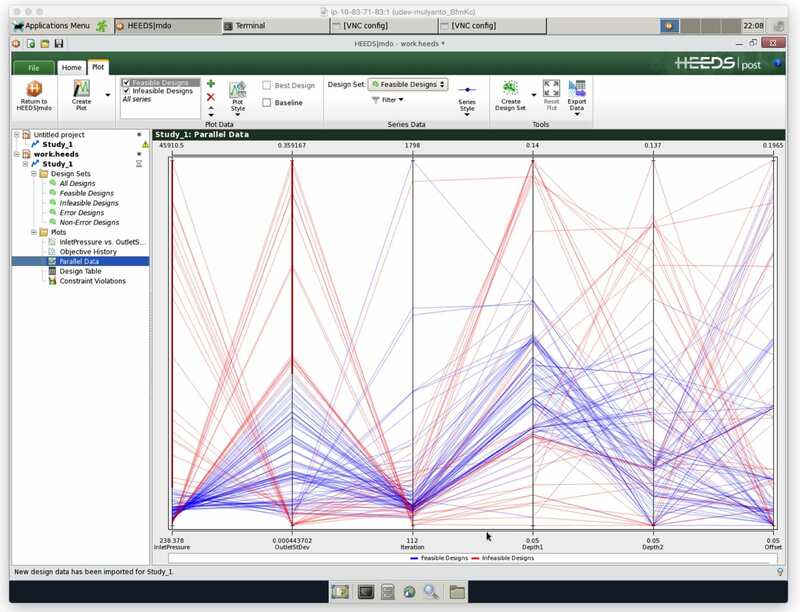 However, performing visualization in the cloud, doing it securely, and in a user-friendly way is not an easy task. We do not want to provide a solution where our customers have to follow a complicated script to make it all work on their end. We do want to provide a wide range of solutions for a wide range of applications. These applications include, pre-processing, job progress monitoring, optimization status tracking and post-processing. 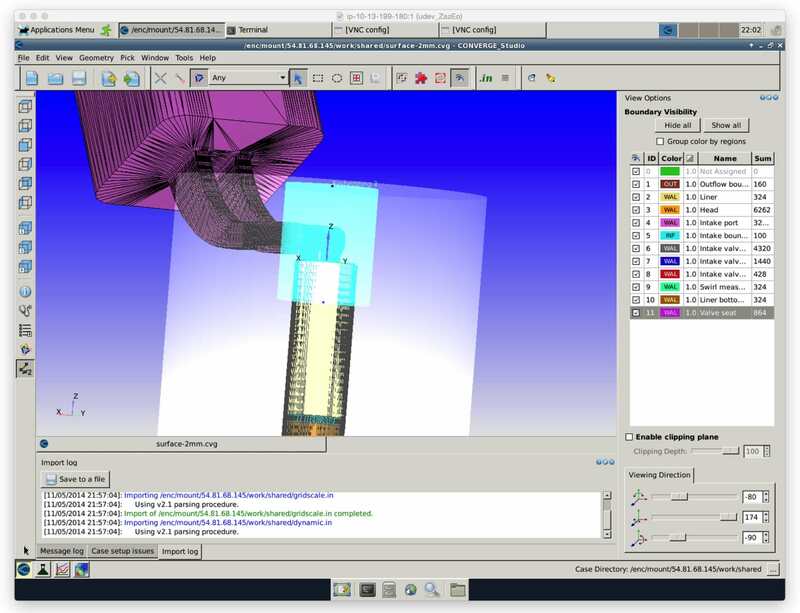 We want to provide third party pre- and post-processing solutions such as FEMAP, Tecplot, Ensight, and Paraview to our customers as well as making native GUIs of software like Star-CCM+, ANSYS, and AVL FIRE available. Bringing all these solutions to our customers are wrought with challenges such as network performance, handling large data sets, and utilizing GPUs for 3D visualization. Because of all the challenges involved, we want to make integrating these visualization solutions an incremental process. We have decided to start off with providing a basic remote desktop solution to a visualization node which can be provisioned as part of the hardware for a Rescale job. This visualization node will have access to all the files on each machine associated to the Rescale job through a shared file system. Our user can then access this visualization node through SSH, or access the remote desktop using VNC over SSH. Of course, we do not want to reinvent the wheel. 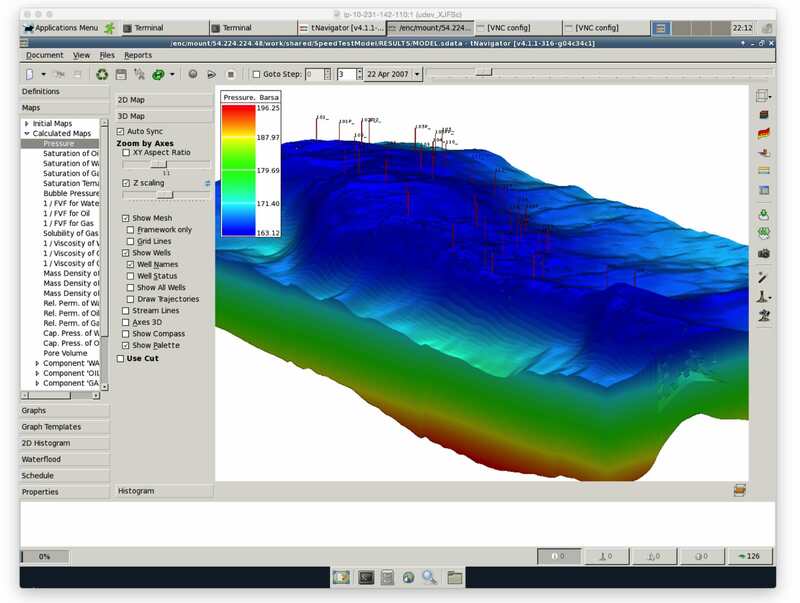 There are already several software-based solutions out there which provide excellent remote visualization technology. 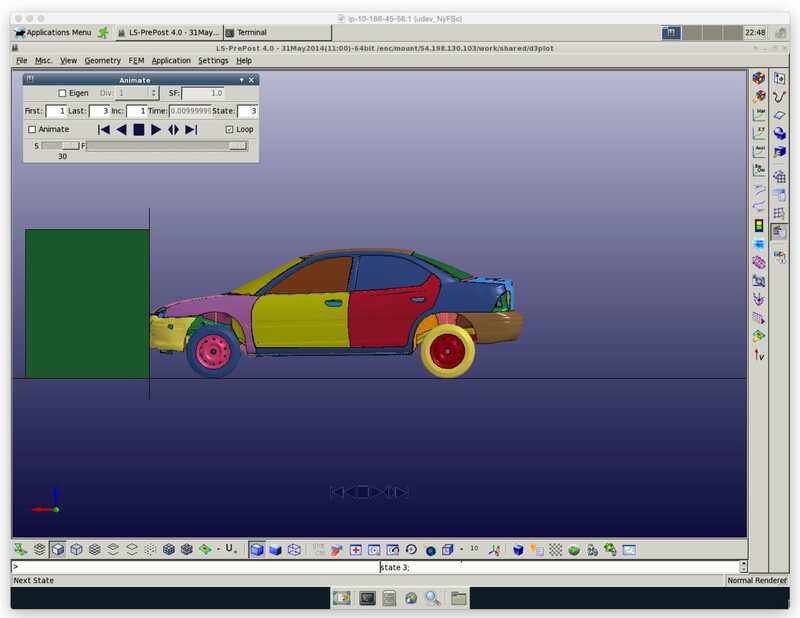 For example, Paraview and many other software provide server-client visualization solutions, which perform fairly well. Our second incremental step is making these solutions available to Rescale users. Finally, we want to improve the overall user experience for everyone. Not everyone wants to perform computationally expensive post-processing. Some only want to track the progress of their job in a GUI that is familiar to them, some may just want to reduce the size of a large data set to minimize transfer costs and some may want to make small changes to their job setup and then rerun their job. We want to provide the capability to perform all these tasks on remote visualization. Our initial step is to provide a simple remote desktop solution using VNC over SSH. Our solution is currently not available to everyone. If you would like to test drive the remote visualization solution, please contact support@rescale.com. The following is a short example of using this solution with RFD tNavigator on Rescale. The first step is to set up an SSH key and is described in a previous blog post. Having set up a key, the job should be set up as normal. 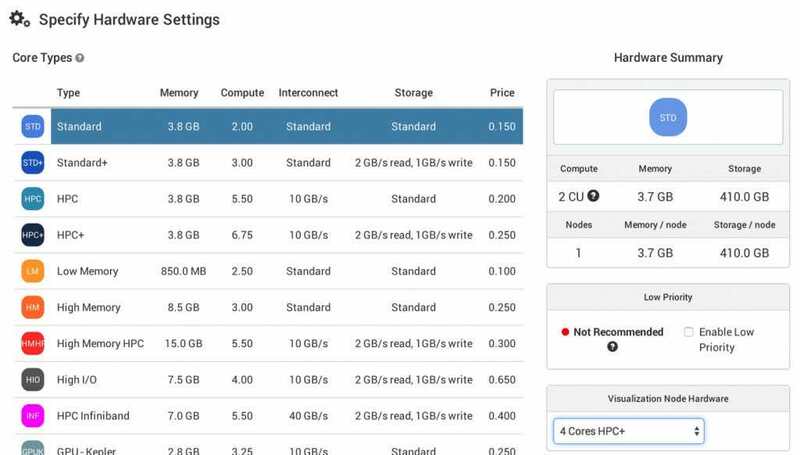 The only difference is that on the hardware selection page our users will be able to select a remote visualization hardware configuration from a set of predefined configurations. If a configuration is selected, an additional node will be provisioned for visualization. Once the clusters have started, a tunneling command will be printed to the screen. This command can be copied and pasted in a shell terminal. Once the tunnel has been established, the visualization node can be accessed at vnc://localhost:5901/. The VNC password is ‘rescale’. To bring up the tNavigator GUI, we can open up a shell and type in tnav-gui, which will launch the GUI. The job files are located in /enc/mount/<ip-of-compute-cluster>/work. There will be one directory in /enc/mount for each compute cluster in the job. Using the tNavigator GUI, we can now visualize the in-progress job. Help us improve remote visualization. We’d love to hear about what features are important to you when using remote visualization. Please let us know at support@rescale.com.